So as I couldn't have my last post for 2016 lead with a photo of a GM product, I decided to close out the year with one last post with a legitimate parts mod for my car. 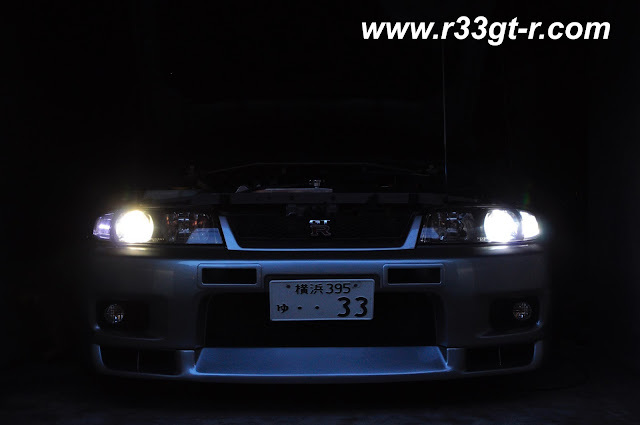 Normally, I would try to post this onto Speedhunters first, but given my inability to handle a camera properly, plus given the subject of this post, I was sure there would be lots of people pointing out the inaccuracies behind my understanding of automotive lighting, so I decided this blog would be the better forum. Oh, and having this post be the first of a two part series doesn't exactly help either, especially when I currently have no idea how it's going to look when all done! 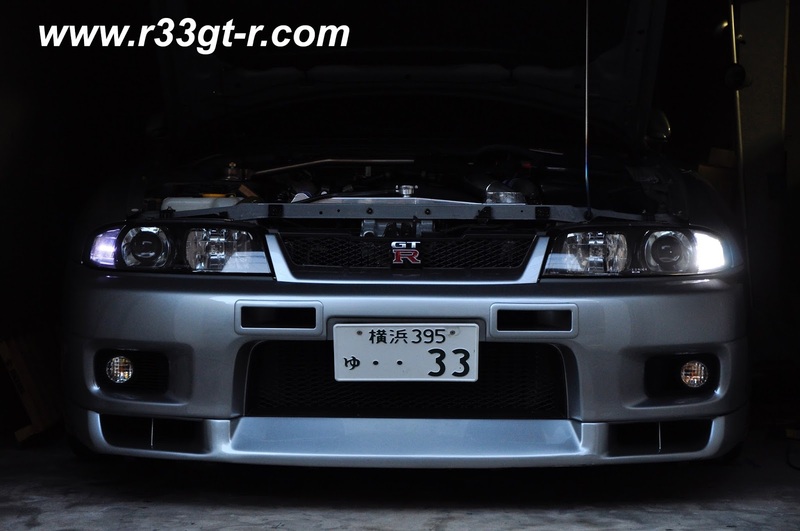 Anyway - several years ago, I jumped on the LED bandwagon and purchased two generic “T10” bulbs for the R33’s front parking lights. Immediately, they gave a brighter and whiter light. And then honestly I forgot about them until I saw the above photo. Given advances in LED technology, both in color and brightness, I decided it was time for an upgrade. 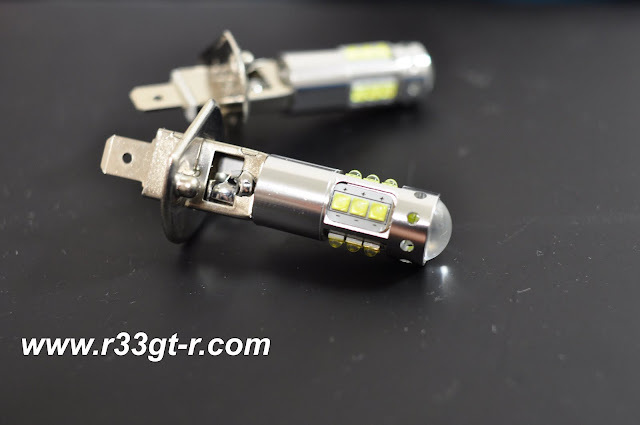 Currently, aftermarket LED parking, lamp, OEM Xenon and OEM high beam H1 bulb means 3 different colors... will it be possible to get all close to the same shade of white, while not diminishing lighting performance? For me, part of “really paying attention to the details” in parts for my car begins with gaining knowledge through research. And lots of it. So I began reading up on automotive lighting and LEDs, with the goal of replacing the parking, low and high beam with the brightest bulbs (legally) possible. Unfortunately, brightness (measured either by wattage or lumens) is not the main factor most sellers of aftermarket bulbs advertise. There seems to be a fixation on color, commonly measured in Kelvins (K). 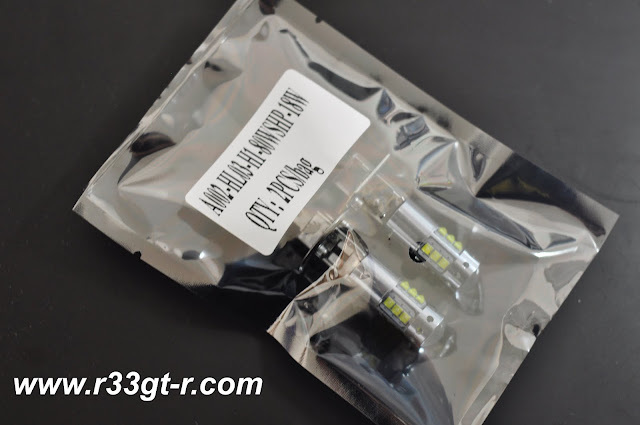 I found most aftermarket bulbs are in the 6000K to 8000K range (i.e. bluish white to purplish white) in an attempt to get that “HID” look. But “whiter” does not necessarily equate to “brighter.” And for me, for safety related items it’s always function over form, although in the context of modernizing, I DID want a bulb that was whiter than a standard halogen bulb. So the challenge was to find the brightest AND whitest bulbs possible. This meant finding reliable sources that give objective figures on characteristics such as brightness. 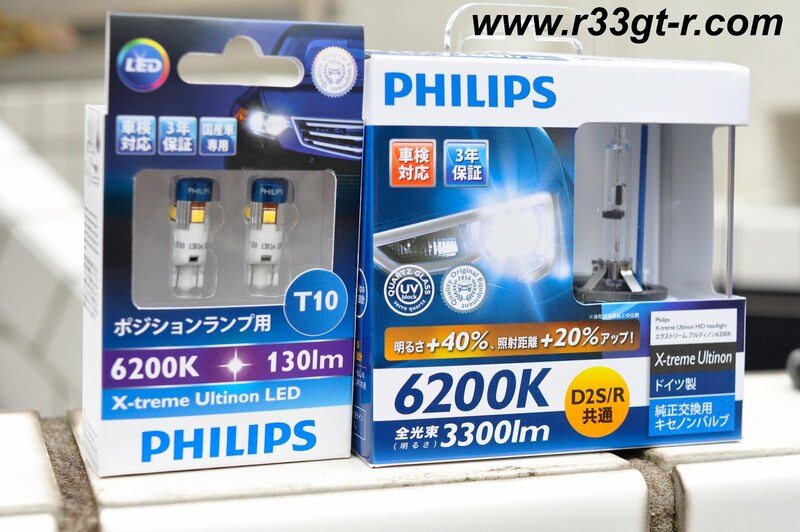 X-treme Ultinon series from Philips - the 130 lumens T10 bulbs are extremely hard to find! 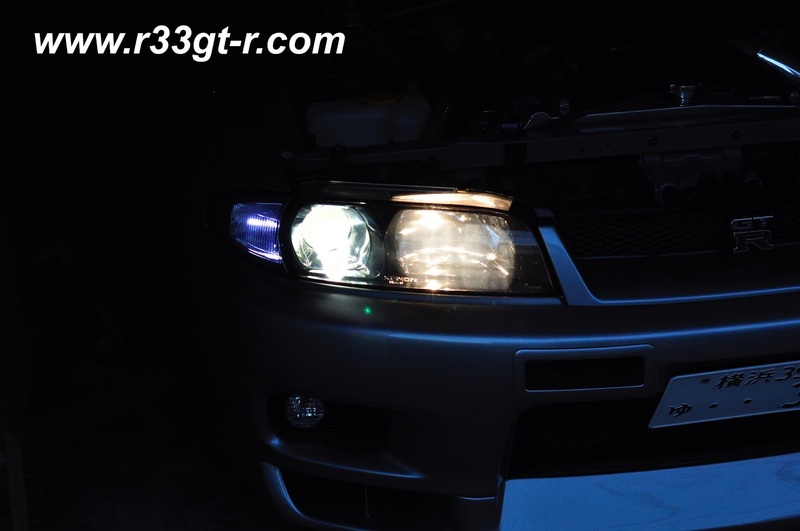 I finally settled on these bulbs for the headlights (HID - D2S) and parking lights (LED - T10). Not only is the brand reputable (with warranty, etc.) but the packages both list the lumens and Kelvin figures and coming from the same manufacturer, my bet was that the Kelvin rating was consistent across both bulbs. Unfortunately, it seems that at the present time, no major manufacturer makes an H1 bulb (whether halogen or LED) with a Kelvin rating of 6200K. So, I took a chance and bought these "H1 bulbs" with a claimed color of 6000K and brightness of 80 Watts off of Yahoo Auctions Japan. I figured that as OEM was rated as 35W, these should be more than twice as powerful. There are actually many other designs now with cooling fans and fins, but because I wanted to keep the watertight seal in the back of the headlight housing, I chose to gamble on these which have the same dimensions as equivalent halogen bulbs. So, my focus at this point was on the BASE of the bulb - this would have repercussions later. 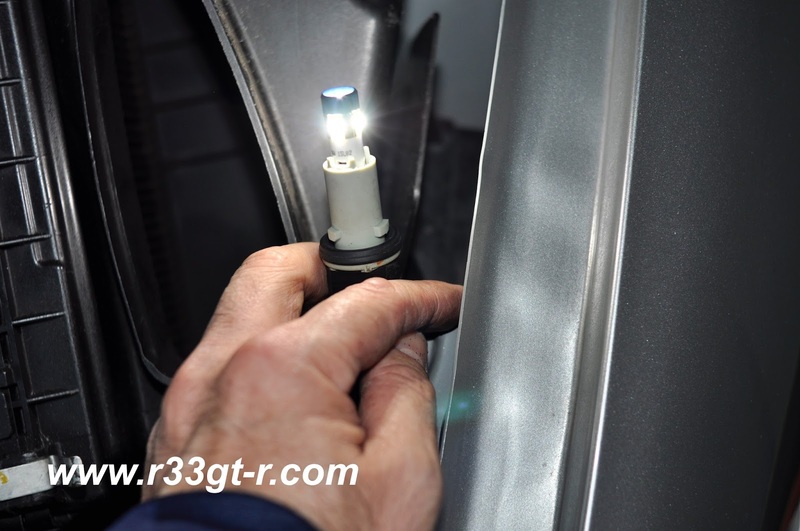 The first step was to gain access to the rear of each of the headlight housings. Even though this is a car born in simpler times, access was not as easy as it could be, although still simple compared to modern cars (at least my daily anyway). Or so I thought. Green arrow - twist counterclockwise to remove the parking lamp bulb. And yes, I see all that dirt there too! I was able to remove the airbox on the front left, which gave me some access to the front left headlight cluster. I decided to swap out the parking lights first. The existing LED parking lamp. You can see that only one surface, the yellow face, lights up. Lit up, the LED casts a bluish white glow. Which turns out to be a weak purple as you can see in the leading photo above. Here is the new Philips LED - it looks very futuristic and cool! Lit up. Not only a whiter light, but in all directions. Can't tell from the photo but it was blindingly bright! Success! 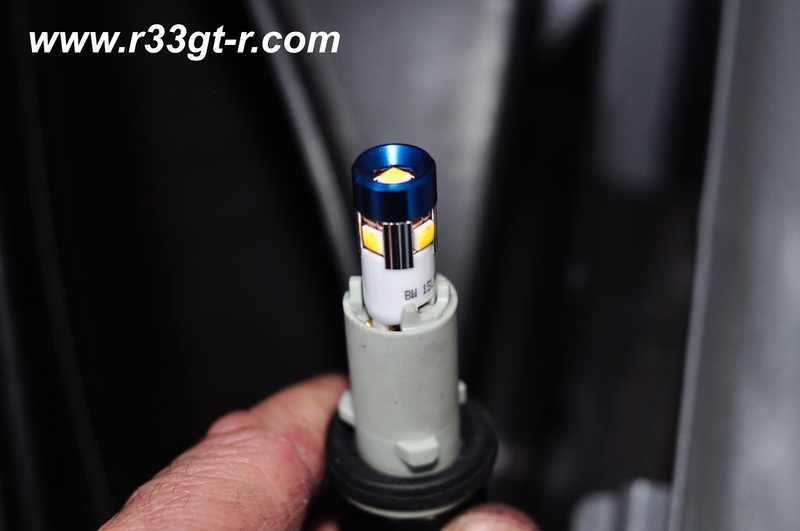 See how much brighter the left front bulb is!! 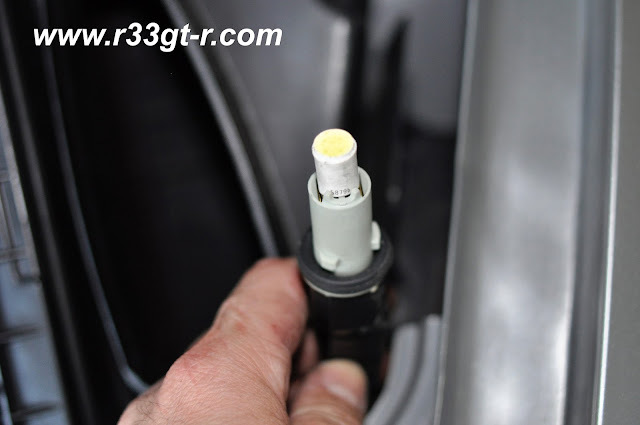 My fingers are small enough that I was able to access the existing LED lamp, but it didn't help when I tried to remove the outer cap to access the headlamps. That's because there is this anti-tamper Torx screw at the base of the cap. 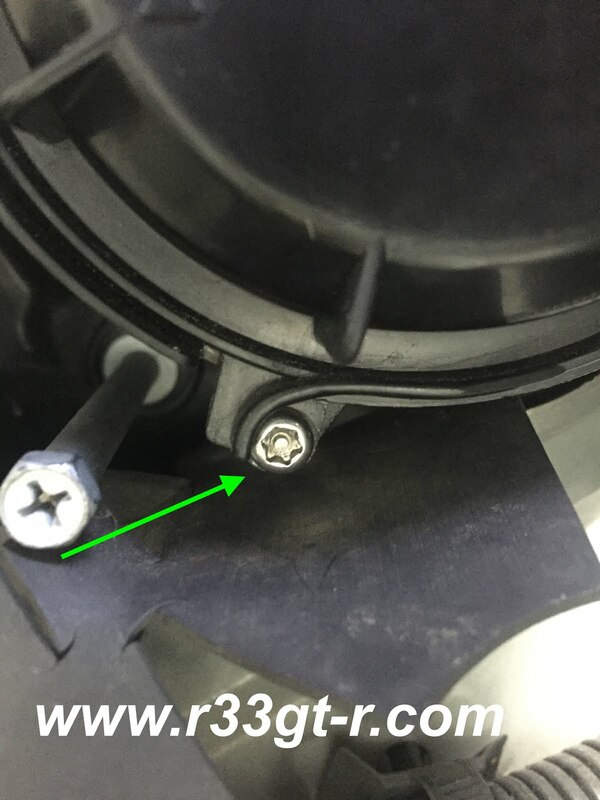 But after showing the above photo to some friends in ClubR33, the invite-only Facebook club I am a part of, they educated me as to which Torx wrench I'd need. So, I immediately ordered a special Torx wrench set, after which I was able to swap out the OEM DS2 bulb for the Philips bulb. Front left bulbs (so right hand side of photo) are not just MUCH whiter than the ones of the right front (left side of photo), but the color appears to be the same for both the low beam and the parking light! 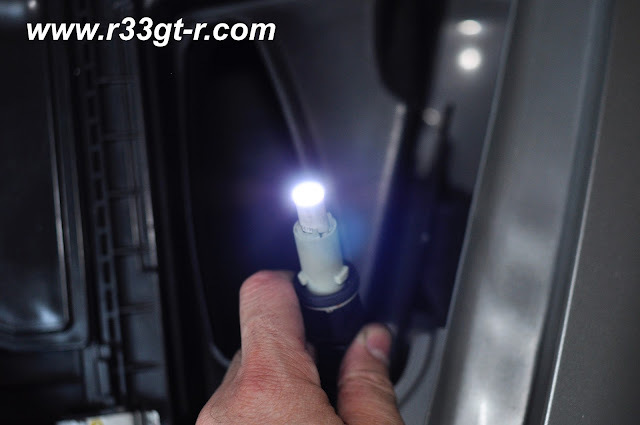 Note, I did consider using an LED to replace the HID bulb, but given the possibility that the light disbursement from an LED bulb might not work effectively with this old school HID and its reflectors, I stuck with HID (for now). I think that was the right decision. I was pleased with how the light appears to be the same whiteness. I haven't taken the car out on a dark unlit road yet, but a quick visual check at night, out of the garage lighting up the house across the street, revealed no major difference I could see. So the last step was to replace the H1 hi-beams with these LEDs. However, I discovered that the headlight lens assembly only allows a BULB that is shaped EXACTLY like an H1 bulb to pass through. So despite my ensuring that the LED bulbs had an H1 bulb BASE, these bulbs themselves could not be fitted. Back to the drawing board. And no, I'm not going to modify the headlamp housings in any way. Some online research suggests these bulbs outperform the equivalent top model from Philips in terms of brightness and sharpness of light! Luckily, a few hours on the internet and more advice from friends in ClubR33 and I seem to have found a solution for the H1 bulb issue - stick with a halogen bulb, just a high performance one which hopefully has not only better light output but a cleaner, whiter appearance as well to match. The other issue was that, even with my small fingers, I could not access the bulbs directly from the housings. So, I will likely have to remove the headlight housings to do any kind of swap. In what is a first for me, as I write this I don't know how this will turn out. Early in the new year, I will finish this job and post the results. Stay tuned, and Happy Holidays everyone! Happy new year Aki! 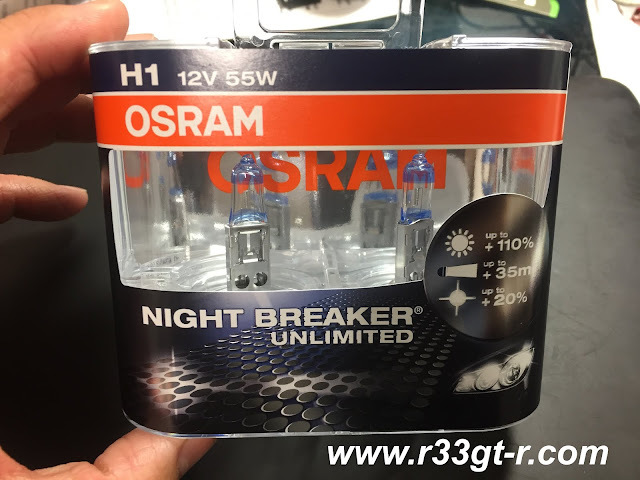 I have the osram night breakers in my GTST and find them very good. Never seen the torx screw on the headlight before. Is it only series3 ? Hi guys, happy 2017! And thanks for the comments. John, appreciate the accolades. Kevin, yep spotted you on FB too, and Simon - great to know, that's the feedback I've been getting. Hopefully the white color is a close match! Hi Aki, happy 2017! 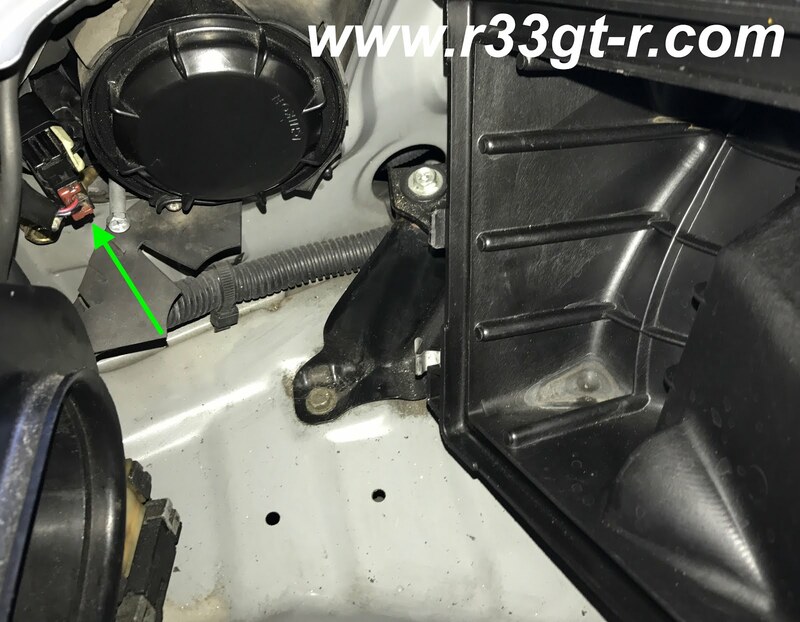 Been reading your blog for a little while, it's my go to place for finding the technical details on the car, keep up the good work. I had my headlight unit out a couple weeks ago,(you don't know if OEM ballasts are available separately do you?) Anyway unless I'm missing a trick the front bumper has to come off to get at a bolt round the side. 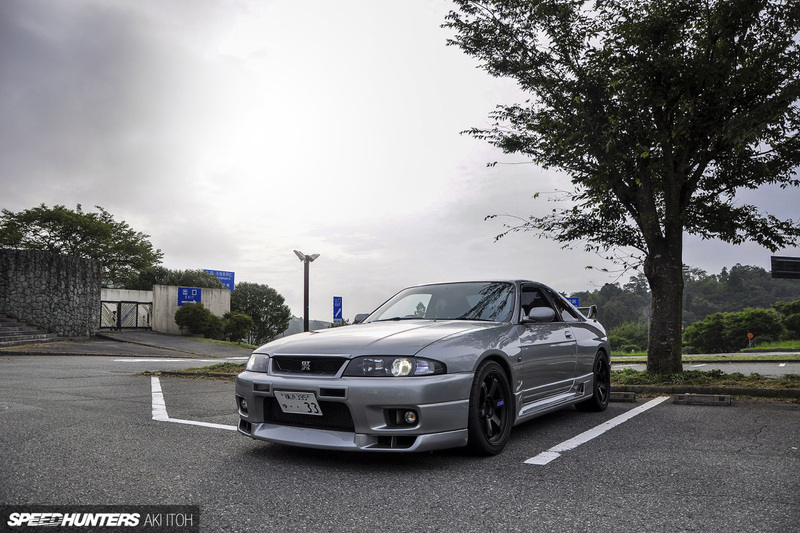 Your car is looking absolutely spot on, love it.